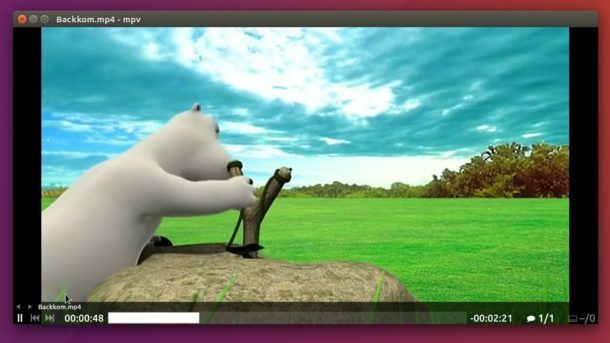 MPV 0.29.1, an open-source media player forked from MPlayer and mplayer2, was released a day ago with many bug-fixes and minor enhancements. MPV 0.29.1 adds a new command option –cocoa-cb-sw-renderer to control whether or not to fall back on software rendering on macOS. Fix for A-V drift on seeking. Fixes to remove spam during pausing and end-of-file. Fix for mpv attempting to connect to non-standard devices such as MIDI. Drop support for Apple’s bundled OpenAL due to lack of features to successfully build. Fix for audio buffer length calculation. Fix EDL playback of certain DASH streams. Mark v4l streams as not seekable. Fix for gapless playback from raw audio input. Fix to enable video output with devices without a video overlay plane. Fix for crashes in case of failure to write to output. Fix for encoding when utilizing lavfi-complex. Some fixes and improvements to Mac OS. Fix for partial writes to buffers. Fix hang when an out-of-bound seek happens. Fix for corruption when multiple compute shaders override each others’ block sizes. Always load “ytdl://” URLs with ytdl_hook first. Fix audio streams not being picked up for some sites. 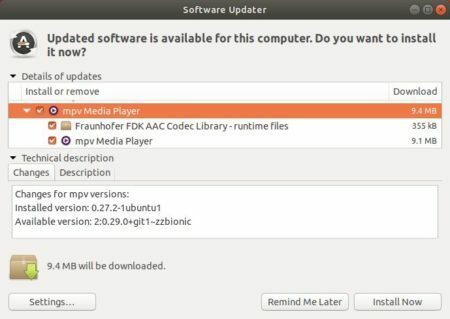 There’s a PPA repository contains the most recent MPV package (for Ubuntu 18.04 so far). As usual, MPV 0.29.1 package will be published through the PPA in a few days. At that time, you can run following steps to add the PPA and install the media player. Type your user password (no visual feedback) when it prompts and hit Enter to continue. To remove the PPA repository, open Software & Updates and navigate to Other Software tab.